I have never entered a medical spa much more endorsed it. 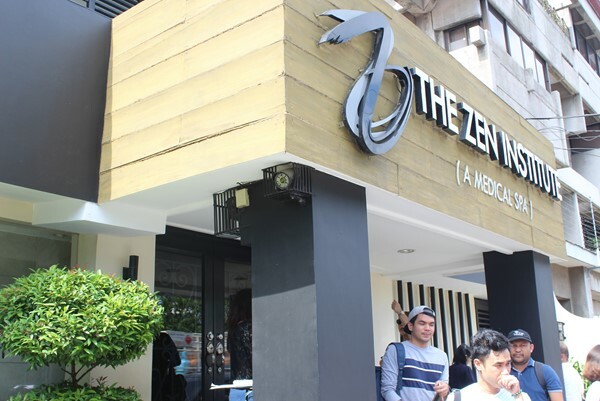 But an opportunity came for me to try out the services of The Zen Institute of Tomas Morato Quezon City for review and endorsement. This I surely cannot refuse. The Zen Institute’s guiding philosophy is simple – from our inner peace comes true beauty. 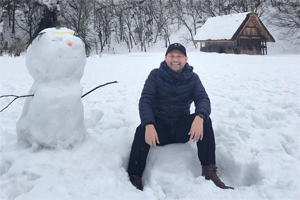 As shared by owner and head doctor, Dr. Mary Jane “MJ” Torres, with the harmonious combination of medical science, creativity and aesthetic sense, they pursue holistic health which in turn manifests itself in true beauty. Our main concern actually is weight gain. I must say I don’t have a healthy lifestyle much more a balanced diet. At the Zen Institute, the approach is holistic and done slowly. There are no shortcuts. And I am fortunate to have taken the first step. The Zen Institute Weight Management Program includes carefully monitored non-invasive treatments, supported by nutritional counselling, a workout regimen, colon cleansing and intravenous (IV) micronutrition. I was able to try colon cleansing and the ultralipo non-invasive treatment. The ultralipo serves to reduce cellulite and body volume. It is also known to decrease the size of problem areas by up to two centimeters per session. On another weekend, I was scheduled for the colon cleansing. Appointment should be made for the treatment. It took me more hours than the usual to complete the procedure, maybe I felt awkward due to the presence of the attendant. Colonics makes use of the gentle rinsing of the colon with warm water, removing toxins. This allows vital nutrients to be absorbed and leaves you feeling healthy and light. One thing that I noticed days after the procedure, digestion was greatly enhanced. Dermatological services would not be complete without the facial treatment. I was able to try their facial treatment with diamond peel. The instrument used has an abrasive diamond tip that gently loosens dead cells, dirt and debris while the wand’s suction component vacuums them away. It was kind of refreshing though honestly I feel like there’s no effect. But the attendant said that it will take more sessions before one can truly say how effective the diamond peel is. Aesthetic, Integrative, Lifestyle and Pampering. These are the pillars that The Zen Institute would like to impart that I’m glad I was able to experience first-hand. And I thank The Zen Institute for this opportunity. After the whole week of being confined in the office, weekends of being outdoor and traveling to distant places, here I am in a sanctuary of aesthetics and pampering.